In example we will cover, how to use a static resource to display an image on a visualforce page. Suppose there is a single file like any single image or standalone css file, that you need to refer in your VF page, then you can directly use the “$Resource.resourceName” to refer the static resource where ‘$Resource‘ is a global variable to use any static resource within visualforce page. You need not to hard code the path of the static resource in VF page code. Below are some examples of the same. Suppose you have an image file uploaded in static resource with name “Z_test” as shown below in the screenshot. You need to remember only the keyword “$Resource” and the name of the static resource and not the name of actual file. Similarly when we have the bundle of files, uploaded as a zip file in static resources section, then along with the name of static resource, you have to give the path to the file within the context of the archived zip. 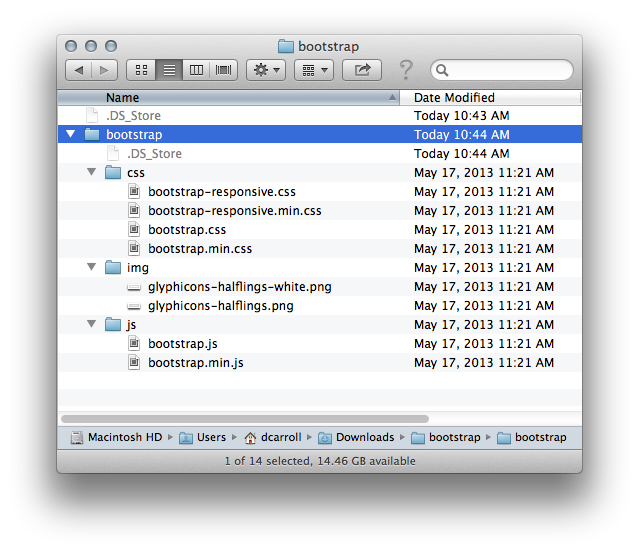 Suppose below is the directory structure of the zip file with the name “bootstrap” that you have uploaded, in which you have three different folders for storing CSS, images, and JS files respectively. So, to reference a particular file at a given location, you need to give the path of the file in context of the zip, along with the name of static resource while referencing in Visualforce page code. For this we have to use a function called “URLFOR(nameOfStaticResource, RelativePathOfFile)”. Below code snippets shows you how to refer the particular files. Above we explained the two ways of using the static resources in visualforce page, one for single file, another for the files within a zipped static resources file. Hope this will help you in your coding.